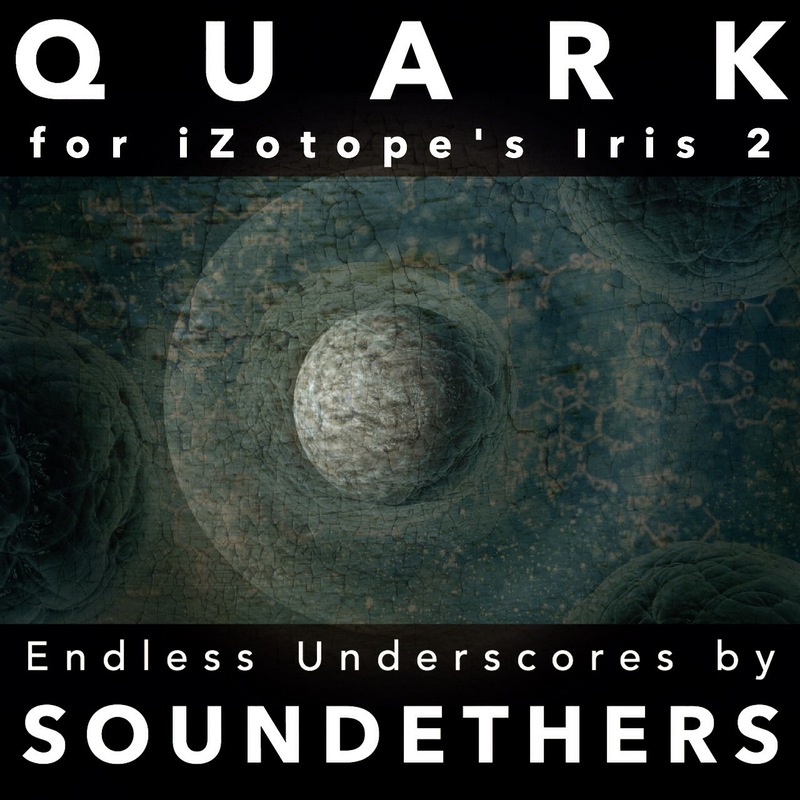 "Quark" is a collection of deep underscores for iZotope's Iris 2. While Iris 2 offers a wide selection of great factory patches, it contains only a few of pure, playable, ever-evolving underscores. "Quark" gives the users of this amazing instrument an essential add-on, made of tuned textures and field recordings carefully blended together, ranging from gritty to heavenly atmospheres. Perfect for Film/Game, Ambient, EDM, Chillout and anything else that may need layers of deep, ever-evolving sound. The "SE Quark" folder contains all patches and samples: you just need to launch Iris 2 and you'll find it in the browser.